Whether you are a traditionalist or experimentalist, this instrument will impress you with its tone and versatility. 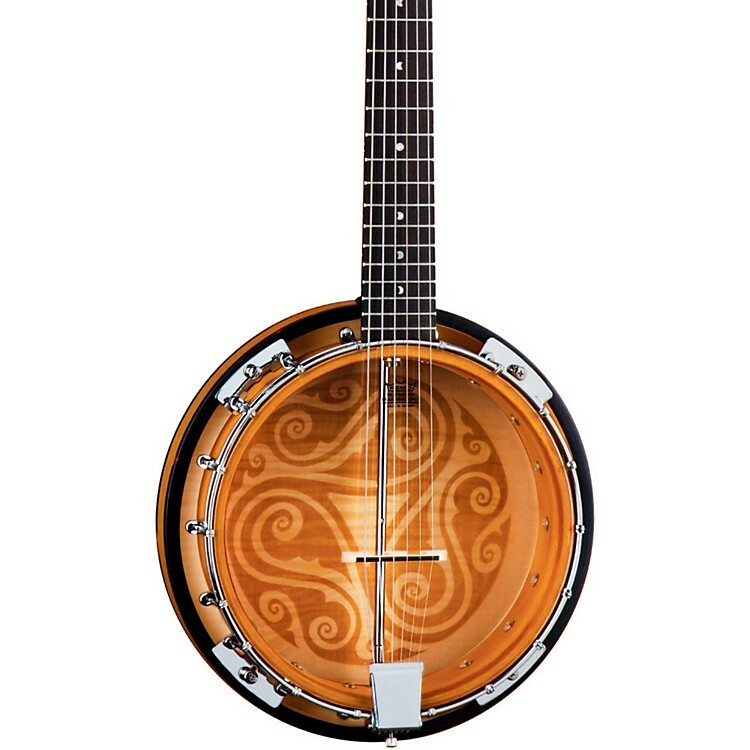 This Celtic 6-String Banjo has the standard 25-1/2" scale of a guitar, with the traditional resonator of a banjo. While its design is geared towards modern Celtic jams, the neck will remind you of a warm safe place and the attack produced by the transparent head will whisk you back to pickin' on grandpa's porch. For the experimentalists, use a standard EADGBE tuning for a uniquely accented guitar tone, or open tuning for punctuated resonant drones.